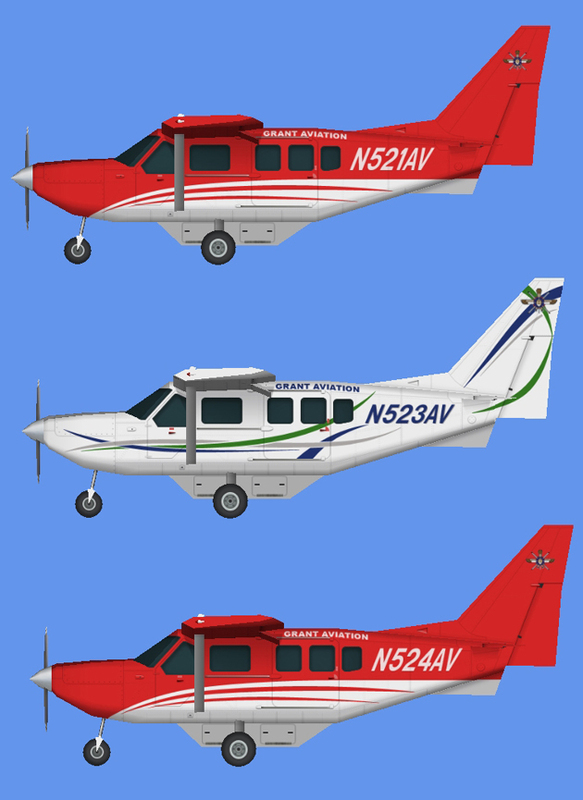 Grant Aviation Cessna 207 Stationair Fleet paints by Paco. Contains both 32 bit and DXT textures. 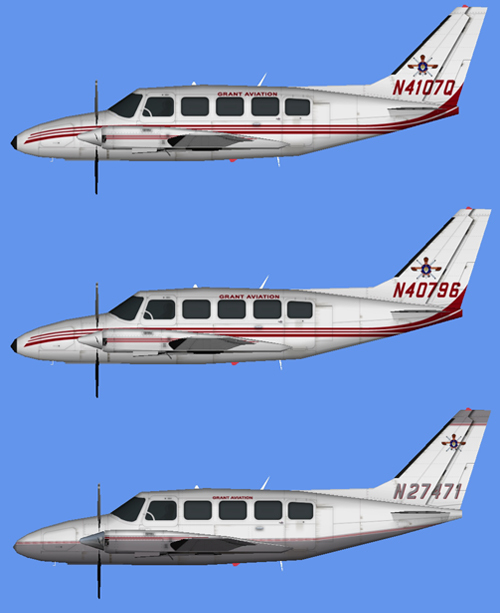 Grant Aviation Piper PA31-350 Navajo Fleet paints by Paco. 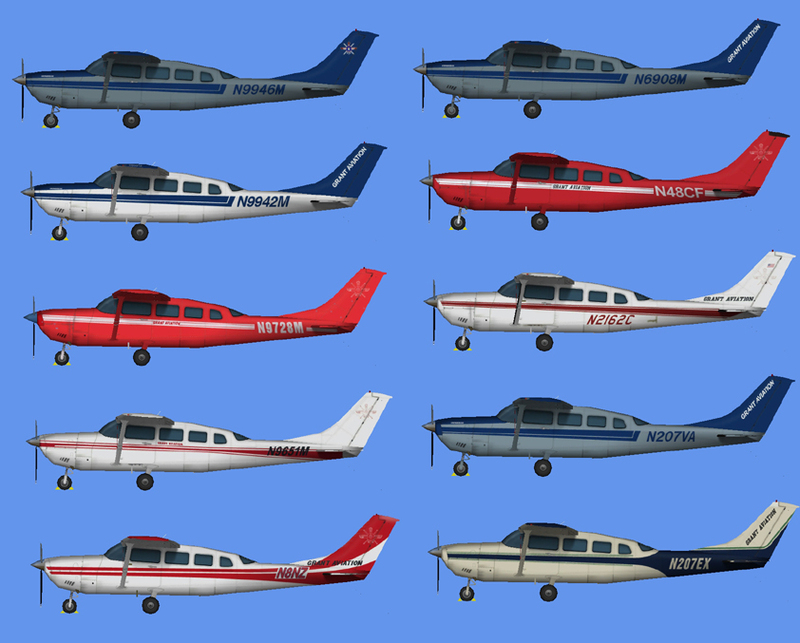 Contains both 32 bit and DXT textures. 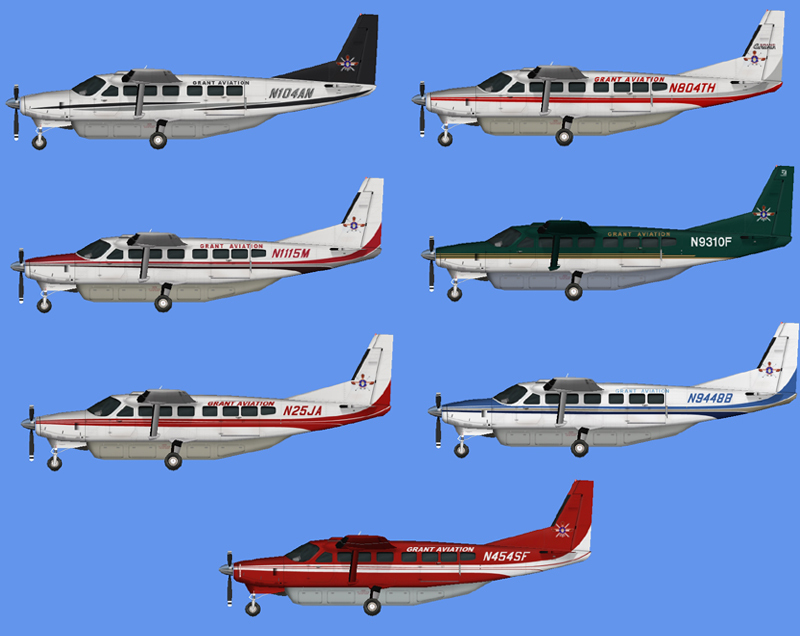 Grant Aviation Gippsland GA-8 Fleet paints by Paco.